I think there was a pattern this month where a lot of people were unhappy with their Birchbox. Sometimes Birchbox has off months and everyone gets besides themselves. Let's all remember that this is a $10 a month subscription box to TRY OUT NEW PRODUCTS. Birchbox gives out SAMPLES, that is what they are known for. 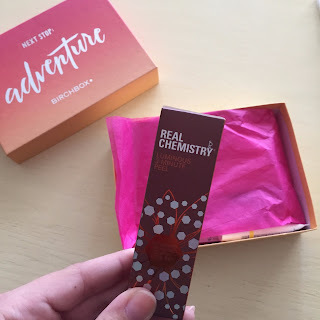 I always see a lot of people complaining about the size of products and I don't understand because Birchbox never claimed to send full sizes. The point of that semi negative intro is that this month's Birchbox was less than satisfactory. 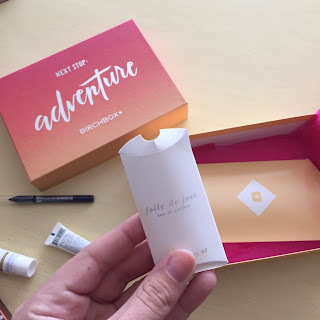 So unsatisfying that as I write this post, I have barely touched the Birchbox since I received it last Wednesday. Other than those two products, my box was pretty okay and I'm not complaining. But, the box as a whole was blah. Positive note: I hit Ace status this month which means that I earned 500 Birchbox points so far & I get a few nice perks like free shipping on everything, special discounts & deals, and a few surprises every so often. When I received that email, I was beyond excited. Also this month, I took advantage of the Birchbox Plus item and I am so happy I did. 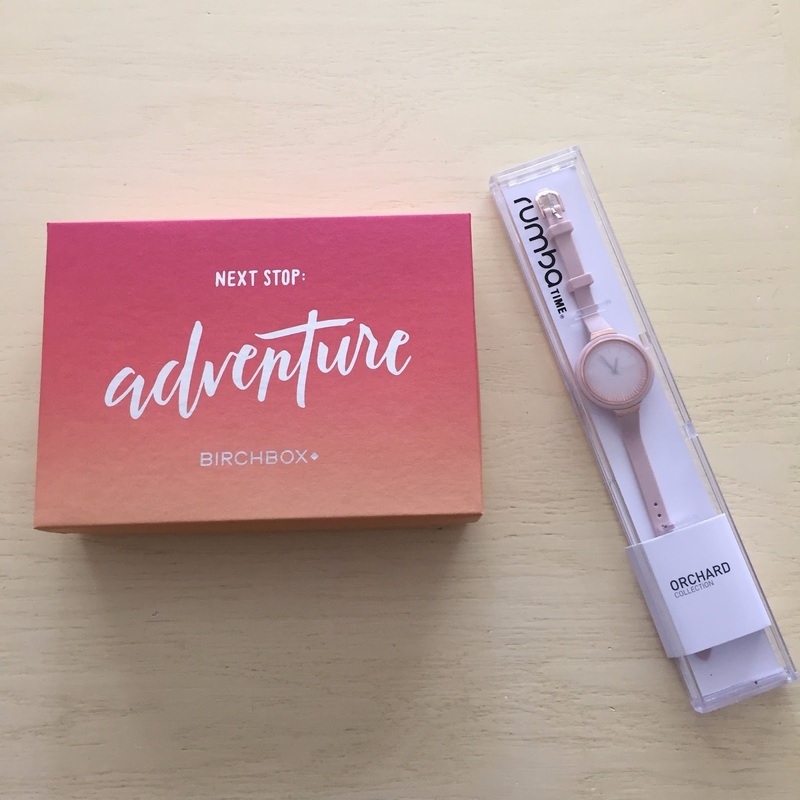 Every month, along with Guest Editor Boxes & Sample Choice, Birchbox gives you the chance to have "add on" products for a special cost. This can be anything from tumblers to bags to notebook, but this month one of the options was a Rumba Watch. I have a Kate Spade watch that is kind of big and clunky, especially when I type on my computer at work. I wanted a simpler watch that doesn't move around so much and this was the perfect one. I got it in Rose Gold/Pink as opposed to the black option they had and I haven't taken it off since. It cost $28 along with the monthly $10 payment for my regular Birchbox. I have gotten so many compliments on the watch and it's so comfortable to wear. I'm pretty obsessed. I'd say the best $28 I've ever spent. Shall we get into the actual Birchbox? I think so. //Marcelle BB Cream Golden Glow: I always appreciate a good BB Cream sample because it's an excellent way to try out if I really do like it. I also love BB Creams in the summer so it's a perfect match. 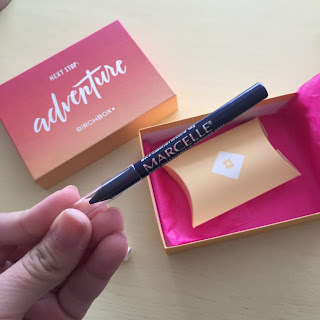 I've never received anything Marcelle in a Birchbox so I was excited about this. 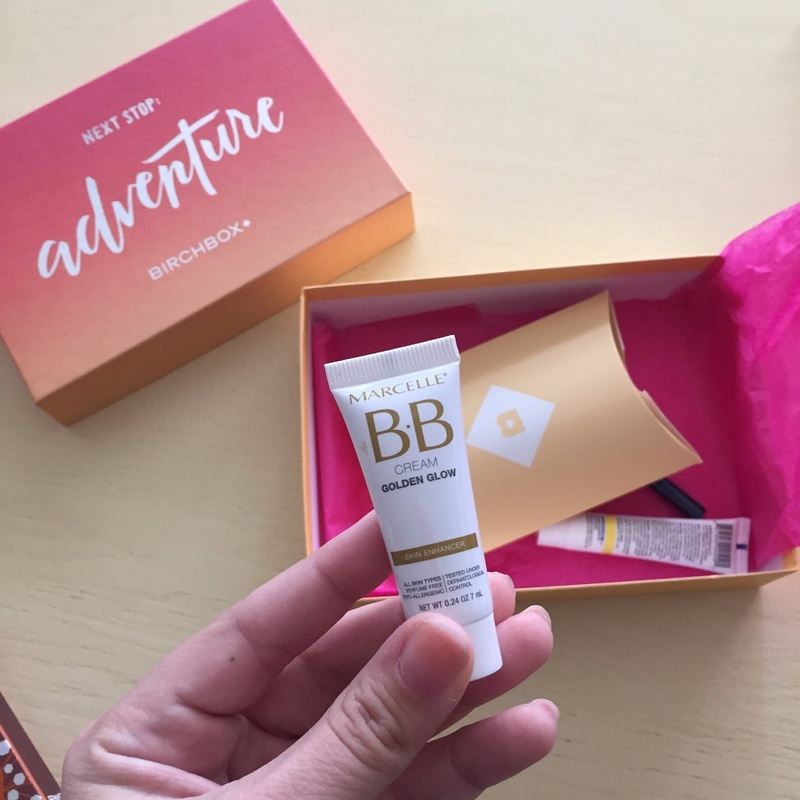 The BB Cream doesn't seem like anything too special or different from other creams I've tried but I do like it and I'll probably use the entire thing. //Marcelle Waterproof Eyeliner: I usually don't mind eyeliners in subscription boxes but I have so many eyeliners to go through. It's kind of excessive. This is a nice blue eyeliner and I've been really into color eyeliners lately so I'm happy to have it. 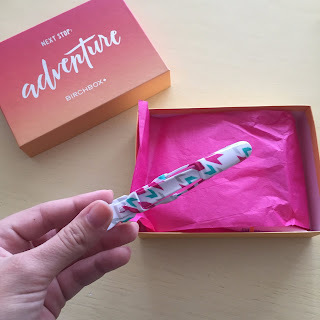 The last time I received a blue eyeliner in my February Birchbox, I purchased the full size. I later realized that this Sumita eyeliner is a little watery and smudges very easily. This seems to be a little drier of a formula so hopefully it'll stay put. //Real Chemistry Luminous 3-Minute Peel: I won't go into detail about this since there is a full post on this here but I know I love it, it works, and I'm happy to have another backup. 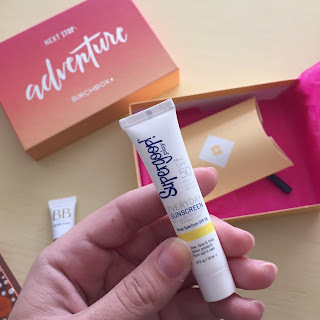 //Supergoop Everyday SPF 50 with Cellular Response Technology: Supergoop is a much known Birchbox brand but just as Marcelle, I've never received anything from them. This is just a typical sunscreen and I don't know when I'll use it, since I use a moisturizer with SPF in it but there's nothing wrong with having more sunscreen in your life. It's the perfect travel size as well! Sarahpotempa Darby Clip: This was a lifestyle extra this month and I don't remember the last time we received an extra in a box. It's always nice to have an extra hair clip in my collection and this is a perfect size for my full yet Keratin treated hair. I know I said I received a perfume sample--the Joie, Folle de Joie Eau de Parfum--but it came to me completely empty. It wasn't spilled out all over the box, the bottle was just empty, which is weird. I'd give this month a 3/5 rating, and I'm already looking forward to next month's box!